The Japanese automotive industry conquered the world after they realised most people wanted nothing more than a reliable, frugal and practical small car. That's all that matters. 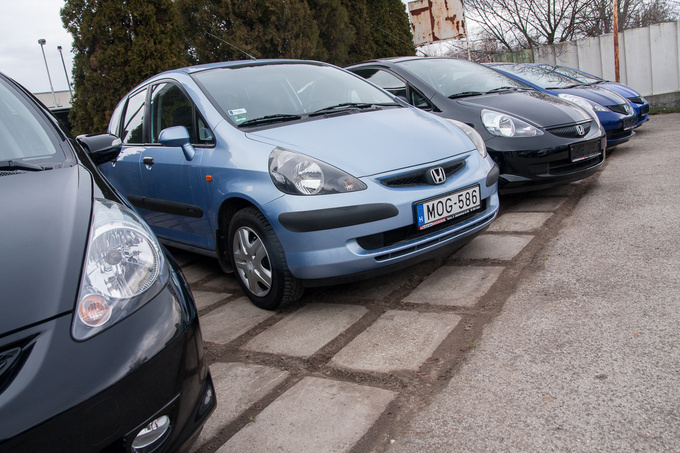 The same holds true for Hungarian used car customers: they are driven by the same guidelines. Brand new car for a private customer – this concept has become something of a luxury in recent years, together with wishes for a powerful engine, direct steering or exciting exhaust tunes. Of course, if you can afford to spend €30 - 60 000 or more on a motor vehicle you are in a position to make demands. Sure, you also consider reliability but that has largely become a non-issue for modern cars, at least for the first five-six years of its lifespan, after which these cars are sold anyway, so who cares? However, there are markets where the income-to-car-price ratio does not allow customers, whether shopping for new or used cars, to consider high quality plastics,fancy suspension or even engine power. We, car journalists, tend to overestimate the importance of these characteristics. What these sober-minded people expect from their car is to keep working, refrain from guzzling, and take as many passengers, and as much gear as they usually seek to carry. Sure, you need air conditioning, you want a black paintjob, and some people also want their neighbours to go green with envy as they spot their car across the street. But rationally thinking customers who do not nurture a complex, intimate relationship with their car, really want three things: reliability, frugality and practicality. That's all. And that's the reason why the Friendly Car Dealer had no less than five Honda Jazz's on sale as we went to pit the old car against the new one. People love the Jazz, and good dealers supply what people demand. Even better dealers develop some sort of association with their best-selling ware, which is why the Friendly Car Dealer was showing us around those little Hondas as if he was a true fan of the model. Look at all the space! It does not break down, and barely sips at petrol. We have a reason to recommend the Jazz when auto-phobes are looking for a small car. We did quite some testing when it was new, our colleagues drive them; heck, even my sister has one. So we are familiar with the model, yet we haven't had a used car review until now. To make up for the delay, here's a double take at the topic. If you want a Jazz you don't need to worry about which version to choose. Your budget will define what you can get. If you have about €3500-4000 you can get some of the earlier, heavily used copies. Double that amount and you can afford newer ones from around 2008. There were two engines available, marked 1.2 and 1.4 but in fact the difference is less than 100 ccm, the smaller being 1246 and the larger 1339 ccm. Still, there is a very tangible difference between the two engines: the 1.4 may not be very lively but it is quite a change after trying the lethargic 1.2. Indeed, this is a car I keep recommending to others yet I would never buy one. I recognise and respect the merits of the car and I am about to idolize it, but if you are looking for driving enjoyment, stay away from it. That's not what the Jazz is about. 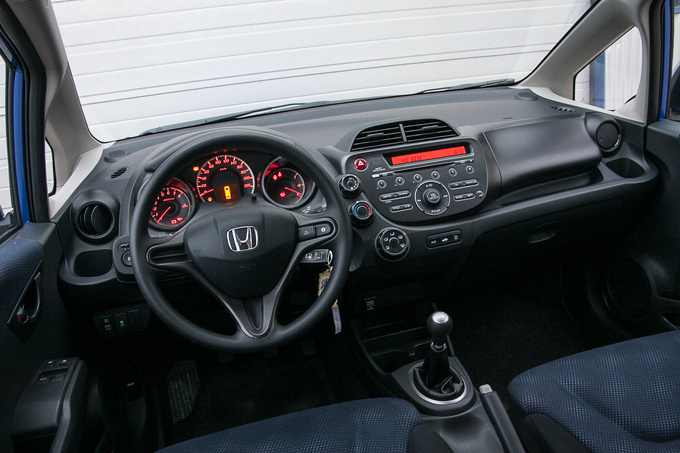 What the Jazz is about is offering a shocking interior space with the foot print and fuel economy of a small car. Reliability is just the icing on the cake. There you go, that's the holy trinity I mentioned earlier. When looking at the Jazz you can tell the engineers won the race against the designers. 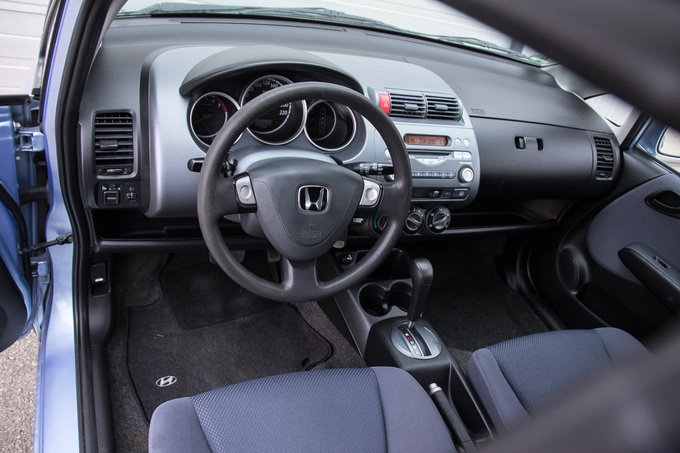 They created a passenger compartment with rather high seating position, added a boot large enough for a compact hatchback, and, using surgical tweezers, managed to squeeze an engine into the nook Honda calls a nose. They also came up with a few tricks such as moving the fuel tank under the front seats, and assembling the rear seats with a fold up/fold flat structure. When they were done optimizing the packaging they opened a beer in celebration and passed the project on to the designer team. Considering how strongly their hands were tied they did a pretty great job. Back in 2001 when the Jazz debuted, small monospace vehicles were not that hot; it was in fact this little Honda that started the craze. What made the Jazz ingenious was that it adapted the immense practicality of boxy Japanese small cars and made it visually acceptable to European customers. In other words it is a neat little vehicle that offers far more interior space than a Corsa, a Polo or a Fiesta. You may not realise it at first sight but the Jazz is at least half a size above all of these. The spacious cabin abounds in cheap, rigid plastics, but because of all the nice touches the environment is more beckoning than in your typical small car. The centre console and the instrument cluster were given a touch of silver which, after over ten years, still looks like a nice idea. The surround of the electric window switches on the door panel were also painted, but even in this lightly used car with 106 000 on the odo the paint has worn of, exposing the black plastic. Another unusual touch is the golf ball surfacing on the gear knob and the steering wheel – it needs some getting used to. 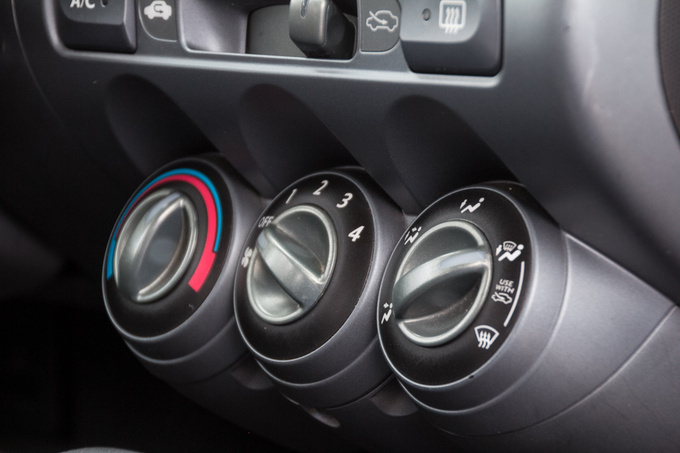 HVAC controls are your typical three-pod rotary interface, installed under the centre console. The factory radio-CD is alright. For another practical detail there is a pair of shelves running across the length of the dashboard; you no longer get this in modern cars. 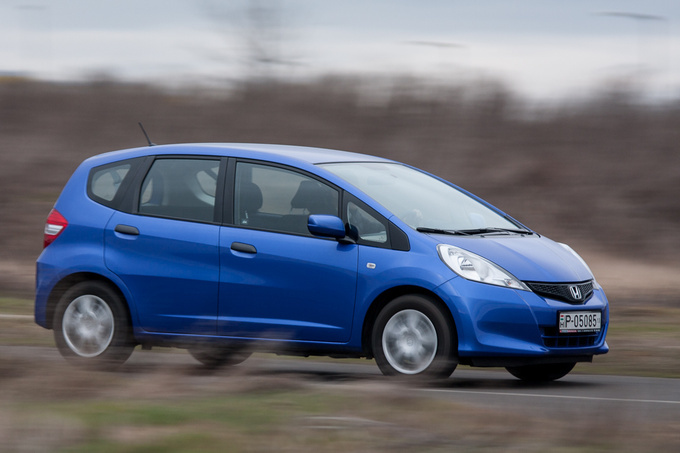 But the Honda Jazz is also a typical Japanese car in that if you adjust the seat for the pedals, the steering wheel, only adjustable in height, is too far for the average European driver. You also sit high, with your legs dangling down, yet the seat cushion is too short to be comfortable. As far as driving position is concerned, the ergonomics of the Jazz are nothing to write home about. It's alright for city use but I would hate to drive hundreds of kilometres in it – think twice if you are a travelling representative. It is the rear seats where the Jazz excels. For one, it offers more than decent space for being only 383 cm long. But even more importantly, the rear seats fold up as well as down. Swing them up and you can load objects of incredible dimensions into therear foot well. 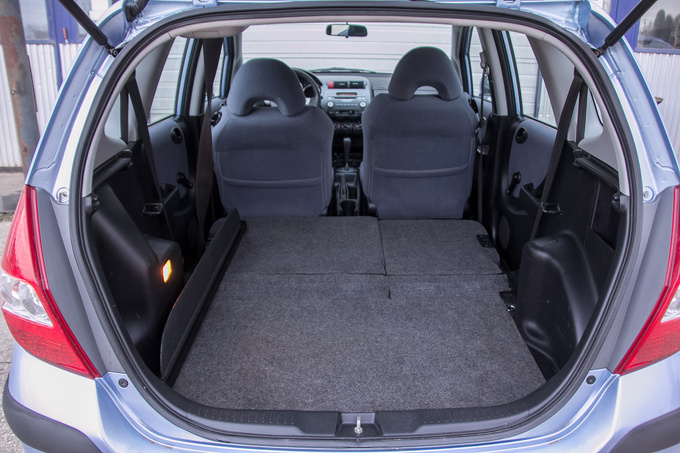 Shove them down and the seats fold deep into the floor, exposing a boot surface challenging smaller station wagons – 1323 litres to be exact. I have been familiar with all the above but I have never tried the automatic gearbox. It is only available with the 1.4 and it is a constantly variable unit that comes with seven virtual speeds for manual shifting. I was wary of this gearbox because CVT's tend to cause sorrow and pain for people with a love for cars. Mind you, this technology is best suited for small cars like the Jazz. And it works pretty well here. The engine won't start wailing every time you accelerate; it keeps the revs down, and makes good use of the available 119 Nm and 83 PS. It is a surprisingly pleasant partner; driving around town you can hardly hear the silent four-cylinder engine. I would prefer this CVT over those bobbing automated manuals any day. Those seven manual speeds are basically only there for fun; use them if you absolutely love push button shifting. But shifting itself is done smoothly and swiftly – all in all, the A/T Jazz is a good choice if you have no love for the clutch. Consumption was less than 6 l/100 km as we were trundling along in small town traffic but on the whole you can get along with around 6 litres; check Spritmonitor. As for wear and tear, after 106 000 km the Jazz is only starting to look its age. Sure, controls don't look new, and there are scratches on the hard plastic surfaces but neither the seats nor the mechanical parts show signs of decay. I would be wary of the CVT gearbox but I am known to be paranoid. Steering has always been numb, brakes feel slightly softer than new, but I suppose replacing the brake pads or maybe the disks would fix that, too. You can hardly hear the engine, or any other mechanical noise for that matter. That resonates well with the legendary robustness of the Jazz. My sister's car has proven to be less solid, with the manual gearbox having blown a bearing after 140 000 km. I would have no qualms recommending the old Jazz if I didn't make the mistake of trying the new one right after the test. Everything has been slightly improved, like it should be on a Japanese car. Nicer materials, better seats, and an overall more mature environment. It feels less Spartan, almost like a proper car, while it has retained all the practical features of the older model. Too bad they cost a fortune, something like twice as much as the earliest examples of the original model. And that's wrong, considering the Jazz didn't grow into a stretch limousine after 2008, it is just slightly better in all fronts. But everything you could expect of a practical small car the old version will do just fine. Try to find a well-kept one and you should be happy for years to come. We must be wired wrong but we had to do a drag race with the two Hondas. The older one is lighter and smaller with a larger engine, but it has a CVT automatic. 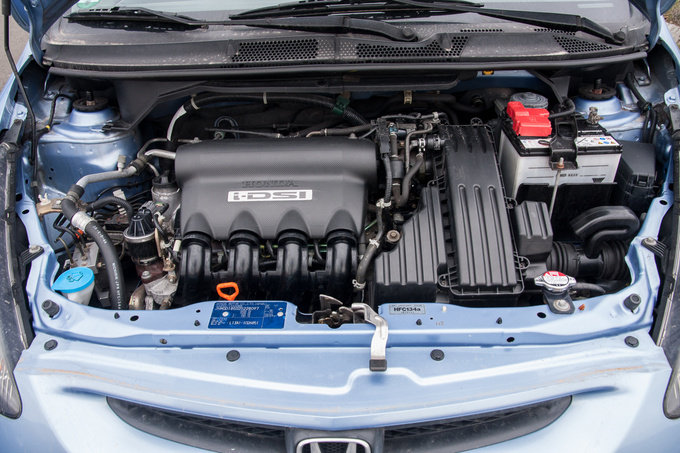 The newer one has a newly designed 1.2-litre engine with a single spark plug and four i-VTEC valves for each cylinder (the earlier 1.2 had two plugs and two valves). It also has a manual gearbox, and 90 PS, against 83 for the old 1.4, which was feeble even back then. Amazing how acceleration figures tell you squat about the real virtues of a car. 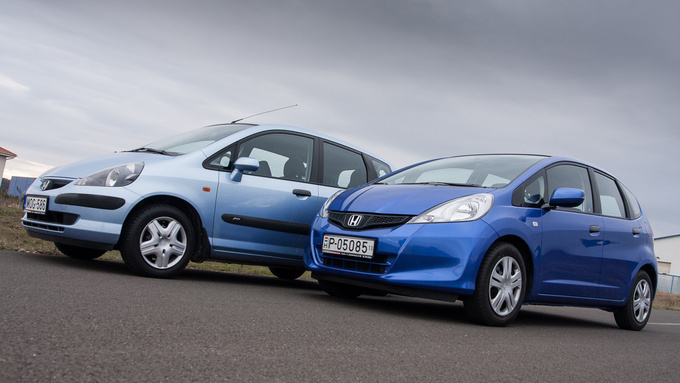 There were no surprises; the newer, stronger, manual Jazz won the race. Funnily enough acceleration itself is nearly identical in both cars, but the CVT unit seems to be cautious releasing the initial torque on the road, while with the manual you don't mind spinning the wheels and that gives you a head start of almost two metres. 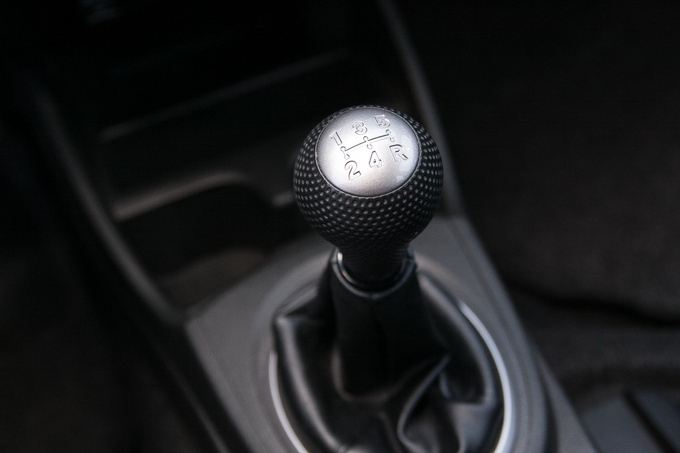 You keep losing some of that advantage on each gear shift. Once the cars are at speed they accelerate equally, with the CVT version only losing out on formalities. In real life, of course, this has absolutely no relevance. Belligerent mothers aren't going to settle their pre-school disputes of who took my boy's toy leopard? running drag races with their small city cars. In fact, in a small city car you are best off with an automatic gearbox; go for it if you can afford it. It is a real treat in city traffic. 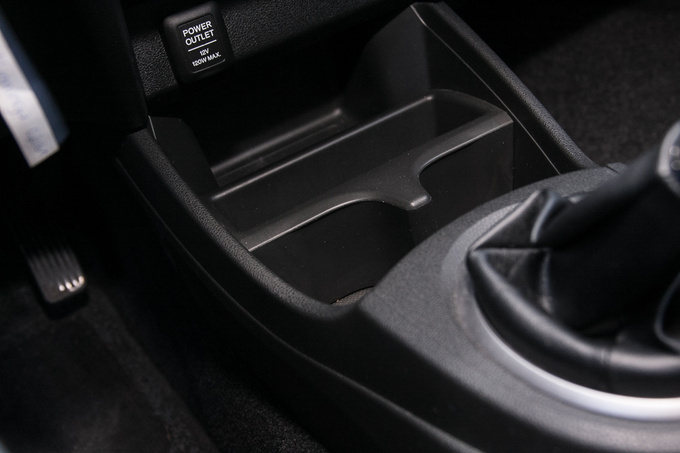 Except in 2008 Honda replaced the original CVT unit with the automated manual (yup, the bobbing type) called i-SHIFT. 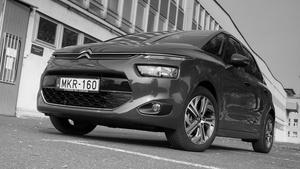 This was not particularly popular, and gave way in 2011 to the returning CVT. It was only available with the 1.4-litre engine, and only with higher specs, all of which made it a rather expensive choice. But this newer 1.2 Jazz comes with a manual gearbox. Sure, there are a few differences but the essence of the car is unchanged: fuel tank under the front seats, fold up/fold down rear seats, huge boot. One important difference is that over the model change the car became larger, and the fixed rear head rests were replaced by fully retractable types, meaning you no longer need to move the front seats forward to fold down the rear seats. Rear space is amazing, there is plenty of room for two adults who have the added comfort of adjustable seat back recline. The new Jazz may be only marginally longer, but it is so much more mature. It has an upgraded instrument panel with none of the silvery surface, the instruments themselves look nicer. Again, the essence remained the same: there is plenty of storage space, with a double glove box. 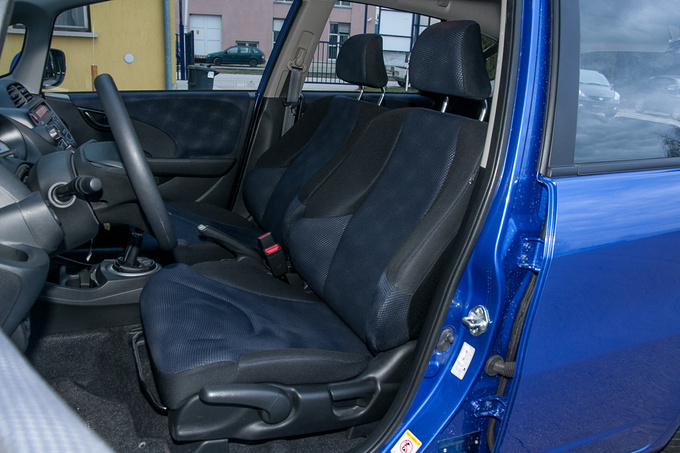 Front seat cushions are about 3-4 cm longer, making them much more comfortable. They are still not best-in-class but definitely better than before. In typical Japanese fashion everything about the Jazz has been improved, including door seals. The doors close with refinement and grace befitting an Audi. Having said that, I had to check where this particular car was made. In the early years, up to 2011, the Jazz came from England, then productionwas shifted to Japan and China, with manufacturing recently moved back again to the UK, so if you are reading this a few years from now, don't be baffled. As of spring 2015, Europe is getting the new generation Jazz. Identifying the country of manufacture couldn't be easier, with the VIN code starting with a J for Japan, L for China, S for England. This particular vehicle was made in China and these cars have proven to be as good as anything. Our specimen only had 62K on the odometer, making it as good as new, although city kilometres always count heavier towards wear and tear than highway miles. 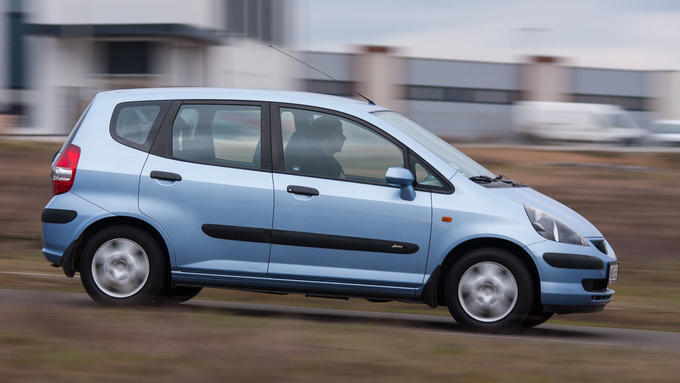 The Jazz is a highly economical car, with an average of 6 l/100km on the whole. If you are specifically aiming for low consumption you can achieve up to 4.5 litres which is amazing. Conversely, the Jazz only earned a ‘C' on the EU energy label, which goes to prove EU standards were devised by morons: in real life you do not get much more economical than the Jazz. The other amazing thing about the second generation Jazz is the reliability. On our very own people' verdict list, compiled by readers, the car achieved an incredibly 8.98. That's even better than the 8,03 achieved by the first generation – French manufacturers would give an arm and a leg to attain those figures. There are 23 reader's opinions submitted, with no score under 4 (on a scale of 5). No comments needed on this one. The only thing you need to check is whether the car has been in an accident, and if so, how bad was the damage. You also need to accept the fact that you won't be able to rummage for cheap spare parts like you can for a Škoda or an Opel. Aftermarket parts are also scarce. Cars from 2009 sell for about €8-9000 with little room for negotiation. Even thieves love the second Jazz; make sure you fit yours with some sort of anti-theft device. 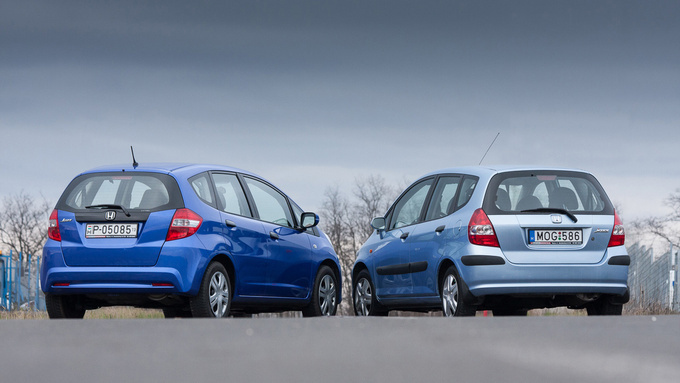 The Jazz is a second car that's fit to be a first car. It's larger than you would imagine, and is economical to run. Many Eastern European families chose small cars as their family vehicle but very few measure up to the virtues of the Jazz. There is the Nissan Note, but it lacks both in quality and in reliability. No wonder, then, that there are used car dealerships specialising in importing used Jazz models, nothing else. If I were shopping for a Jazz I'd set my priorities before looking around. If all you need is functionality and economy, you can settle for the first generation model. If you would like the same practicality with slightly better quality, more car-like behaviour, better steering and better engines, go for the second one – and pay the price. Mind you, both are worth every cent.